Tim Pigott Smith dies, aged 70. The actor Tim Pigott-Smith has died, his agent, John Grant, announced today. “It is with deep regret that I have to announce the sad news that Tim Pigott-Smith died this morning. “Tim was one of the great actors of his generation. Much loved and admired by his peers, he will be remembered by many as a gentleman and a true friend. Tim Pigott-Smith was born on 13 May 1946 in Warwickshire. He trained at Bristol Old Vic. He became a household name after appearing in the TV series The Jewel in the Crown (1984), for which he won the BAFTA Award for Best Actor, and went on to become a familiar face on film, TV and stage. 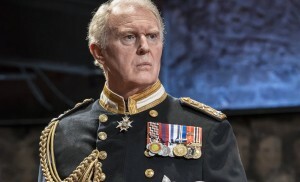 His performance as Charles in Mike Bartlett’s play, King Charles III, at the Almeida Theatre then in the West End and on Broadway, won him Olivier and Tony Award nominations and has been made in to a TV film which will be broadcast on BBC 2 later this year. He was awarded the OBE for services to drama in the 2017 New Years Honours. He wrote The Baker Street Mysteries series of children’s books. Tim Pigott-Smith was due to open in the touring production of Death Of A Salesman at Northampton’s Royal & Derngate Theatre on Monday.